The World Coordinate System is based on the Cartesian Coordinate System. Having an understanding of this coordinate system (which many people have, despite of probably never heard of the name) is essential to understanding how the WCS (and UCS) work within AutoCAD. Some of what is written below (quotes) I have taken from the AutoCAD 2010 Users Guide. There are two coordinate systems: a fixed system called the world coordinate system (WCS) and a movable system called the user coordinate system (UCS). By default, these two systems are coincident in a new drawing. Normally in 2D views, the WCS X axis is horizontal and the Y axis is vertical. The WCS origin is where the X and Y axes intersect (0,0). All objects in a drawing file are defined by their WCS coordinates. However, it is usually more convenient to create and edit objects based on the movable UCS. By default when you start a new (blank) drawing you use the World Coordinate System (WCS). This is your (0,0,0) point. 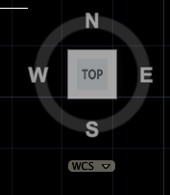 Looking at the UCS icon, the square in the crosshairs tells you, you are using the World Coordinate System. This is also clear when looking below the compass. In the screenshot below you can see the WCS is active. 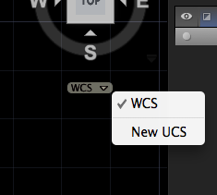 When clicking on arrow it shows you have the WCS active and gives you the option to create a new User Coordinate System (UCS). How to work with the User Coordinate System? Moving or rotating the UCS can make it easier to work on particular areas of a drawing. Move the UCS by defining a new origin point. Align the UCS with an existing object. Rotate the UCS by specifying a new origin point and a point on the new X axis. Rotate the current UCS a specified angle around the Z axis. Revert to the previous UCS. Restore the UCS to be coincident with the WCS. Each of these methods have a corresponding option in the UCS command. 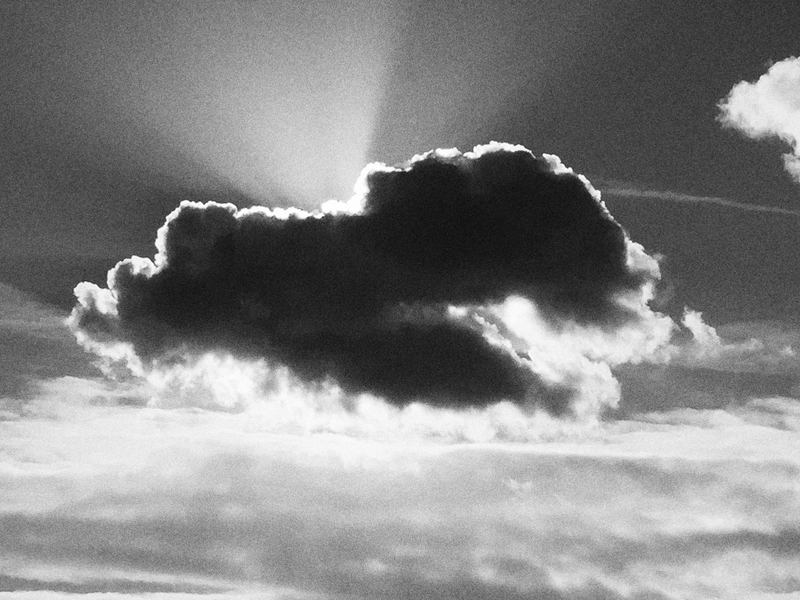 Once you have defined a UCS, you can name it and then restore it when you need to use it again. For instance: If you want to set a drawing to a newly determined zero-point, so you can use that particular point as the starting point for a coordinate system you need to use, you can just move the UCS to that new point. That point will then be the (0,0,0) point. You can even change the UCS angle if that is required. You can name them and save them, so you can switch between them. In Paperspace you need to keep in mind that the UCS only has a (0,0) point: An ‘X’ and a ‘Y’ coordinate. When moving the UCS origin (see pictures below) you can see the square in the crosshairs is gone, meaning you use the User Coordinate System. 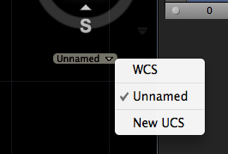 Instead of seeing WCS underneath your compass you now see ‘Unnamed’, meaning your active UCS is still unnamed. Click View tab>UCS panel>Named UCS. The new UCS is displayed in the UCS list as UNNAMED. Click OK. You can use up to 255 characters, including letters, digits, and the special characters dollar sign ($), hyphen (-), and underscore (_). All UCS names are converted to uppercase. When you have determined a new UCS origin, and want to switch back to the World Coordinate System, you need to save you new UCS before you switch. Otherwise the new point UCS point will be lost. This will give you all sorts of options (to move, rotate, name, etc.) for your UCS. Thank you for the information about the UCS. I am often changing the UCS to align tooling to 3D parts that we produce. When I change to align with a part, I often do not want the Z component of the UCS to change from the world coordinate but using a couple of cylinder centers will often result in a Z component of as little as .0005mm and make my line non co-planer to my tools. I’m not sure I’m explaining this very well but if you understand it could you offer some way to avoid the Z factor? That’s a good question. I will look into it, and post my findings/solution as soon as i find some time this week. Thanks for the info, but I have a problem with my autocad. My ucs keeps coming up with an x cursor instead of the the + sign and its really frustrating. I cant select anything and i any time i right click it freezes. I am not sure what is wrong with it.. Is it that I did something wrong with the ucs settings or something? That would put you back on the default WCS. Hope that helps. I like this post about UCS and WCS. I need to use UTM (Universal Transversal Mercator) coordinates in my drawing. How can I do that? Just for the email correction. Well, UTM is a specific kind of coordinate system based on the Cartesian Coordinate System. It uses Easting and Northing coordinates. 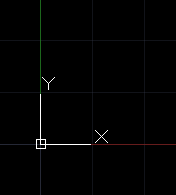 In autocad this translates to your x (Easting) and y (Northing) coordinates. UTM coordinates are in meters so keep that in mind. Thank you for your prompt response, but I want to know how to set the drawing in those coordinates. For example: i need to put one survey point in a certain position using its utm coordinates. Well, truth be told, I have never before worked with UTM coordinates, but after looking into it a bit, it isn’t all that hard. Depending in which UTM zone you are in (I for one, am in zone 31U; 31 being the zone and ‘U’ being the latitude band; see also this map ). 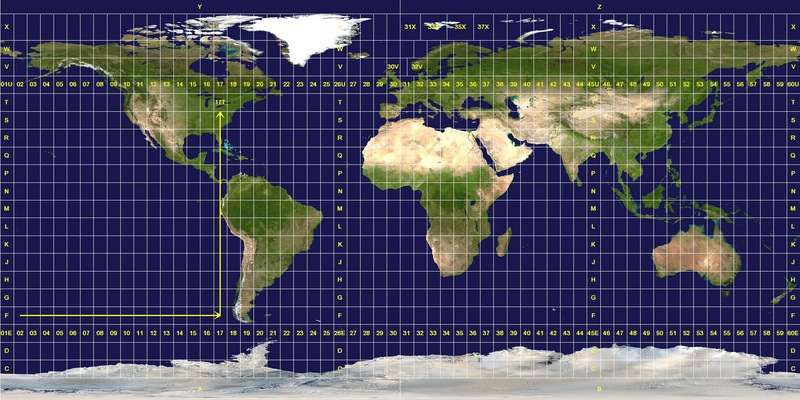 Every UTM longitude zone has a particular Cartesian coordinate system (i.e. local xy coordinate system) associated to it. The UTM easting and northing coordinates are the x and y coordinates, respectively, of this system. Each longitude zone (in my case zone 31) has a central meridian midway between its two bounding meridians. The central meridian of each longitude zone is assigned the easting coordinate 500000m (i.e., x= 500 000 m). The UTM northing (y) coordinate increases continuously as one moves northward. In the northern hemisphere the equator is assigned the northing coordinate of 0m N (i.e. y=0 m). In the southern hemisphere the equator is assigned the northing coordinate of 10000000m N (i.e., y=10 000 000 m). So, assuming you have the UTM coordinates for a particular zone, and lets say your survey points are located in the northern hemisphere, all you need to do is define your 0,0 (x,y) point in your drawing. Your drawing needs to be set to the WCS (World Coordinate System) which you will have to define (somewhere in you title block information) as being the equator and 500 000 m west of the centerline (central meridian) of your particular zone. Setting up your survey points should be very easy then, as you can set those up by simply placing them on the x and y axis. Depending on how precise your survey points are, you might want to set your units to mm, despite the UTM system being in meters. You can just at the UTM coordinates you have: If there are 3 digits after the comma (for instance, you can set up your drawing in mm (which I would recommend anyway, if you are using the metric system). Hopefully this will help a bit. how can i move a point coordinates to wcs(0,0)? well, check out this post where I describe how to move objects relative to coordinates. I assume this is what you mean? If you want to your x=5200 and y=3500 to become 0,0, all you have to do is move your UCS to that location. I have read this UCS and WCS many time and it makes sense but when it comes to making a practical work I am unable to complete it. I have a CAD drawing with one Ground Control Point (in South West) to georeference in order to be used in GIS. As per an expert the other point needs to be calculated (in North East) using Trigonometry and thats where I am lost. could you help with that?